Cook the pasta in a large saucepan of salted boiling water for 8–10 minutes. Add the beans, snow peas, sugar snaps and asparagus and cook for a further 1–2 minutes or until the vegetables are just cooked and the pasta is al dente. Drain and return to the pan with the pesto, lemon zest, juice, oil, salt and pepper and toss to combine. 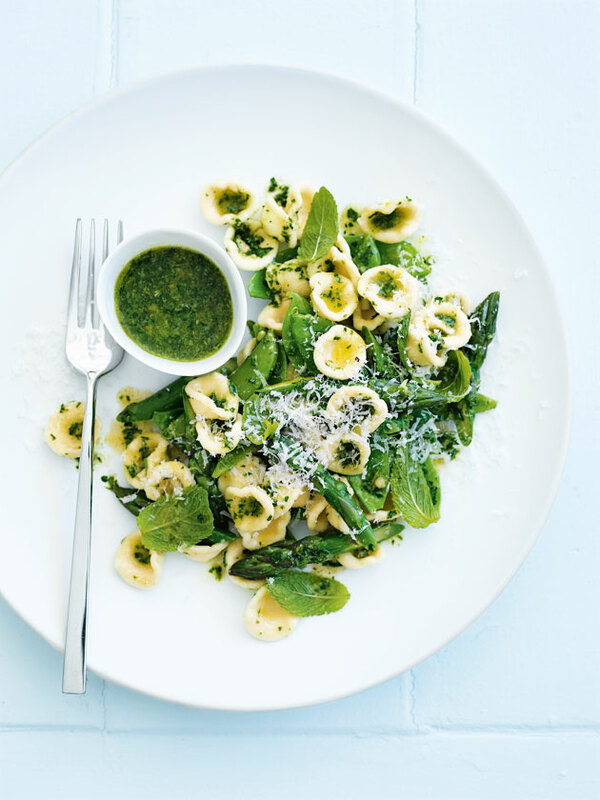 Divide the pasta between bowls and top with the mint, and cheese and serve with the extra pesto. Serves 4.